This will be the final giveaway, so make sure you get involved! If you would like your chance of winning any of these books, add your email address to the form below. You’ll be notified by email if you are the winner. Thrust into state care at 6 months of age because of an alcoholic father and mentally ill mother, Teresa Cooper spent an unsettled childhood in a variety of children’s homes. At age 13, she was sent to Kendall House in Gravesend, Kent, a home which soon became her prison and worst nightmare. Teresa found herself a victim of a terrible regime: she was injected with dangerously high doses of drugs and sexually abused. As a result of this cruel and vicious treatment—accompanied by punishments such as 163 days spent in solitary confinement—it was not long before Teresa began to harm herself and even attempt to take her life. After three years of hell, Teresa thought her nightmare was over but another was about to begin. Teresa survived, however, and today she works to fight against a corrupt social care system. She has taken her case of abuse and drugging to parliament, and is fighting to prevent many more children from suffering at the hands of unethical doctors and abusive foster parents. Growing up in the foster care system was no picnic, but after being adopted into a loving LDS family, playing college basketball, and launching her career in the software industry, Denise Dewalt finally feels as though she s left her former life behind her. What she doesn’t realize is that she must confront her past if she ever wants to move on to a brighter future. While her search for her biological family isn’t an easy one, Denise s biggest fear is that even when she finds her family, she ll have nothing to give Rich, the only man who can see past the tragedies of her childhood. This emotional and inspirational story proves that life is full of unexpected twists and turns especially when it comes to facing your demons, fighting for love, and finding happiness for the future. 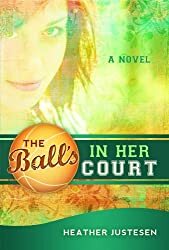 The Ball s in Her Court will keep you hooked to the very last page. This entry was posted in Authors and tagged giveaway on September 1, 2011 by Mario Lurig. These books sound wonderful. 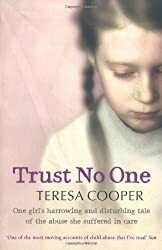 I really like that Trust No One & The Balls in Her Court touch on the foster care system because I think many people aren’t aware of the many problems & issues in our foster care system and of the need for some changes. Not to mention, all three of these books sound captivating and intriguing! These all sound like great reads! Trust no One & The Balls in her court sound awesome. 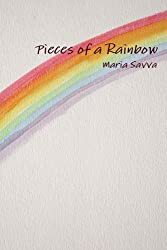 I have read pieces of a rainbow I cherish this wonderful masterpiece!